Hello everyone! I am very excited to share my first CAS Christmas card for the 12 Days of CAS Christmas with The Stamp Simply Ribbon Store. 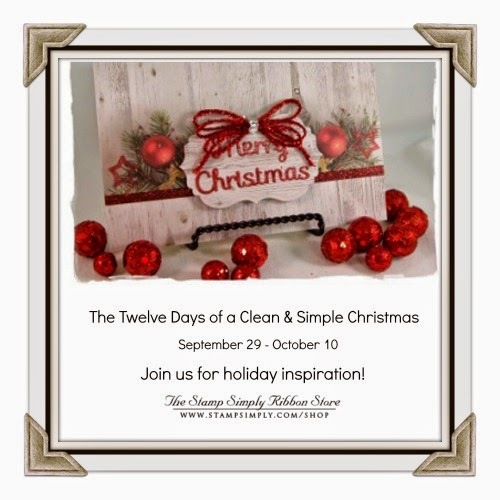 Everyday from September 29th - October 10th the Design Team will be sharing CAS (Clean And Simple) Christmas cards on The Stamp Simply Ribbon Store Blog. Here is the card that I designed using some of the pretty BoBunny Candy Cane Lane Collection 6 x 6 Paper Pad. 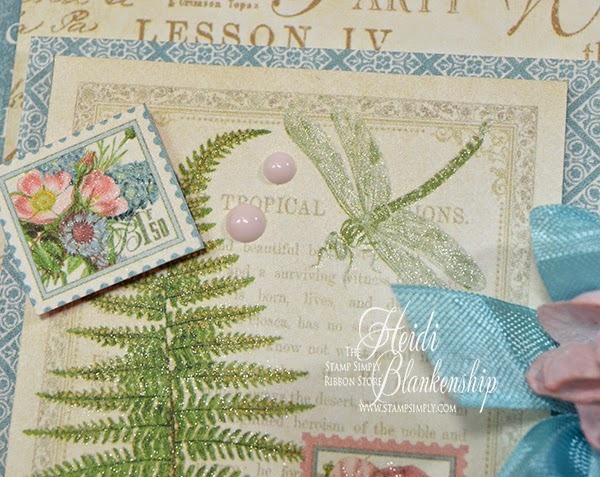 I love all of the pretty pinks, blues and light green in this paper pad! I cut one of the pattern pieces to fit the card front and then cut another piece a little smaller and layered the two together. 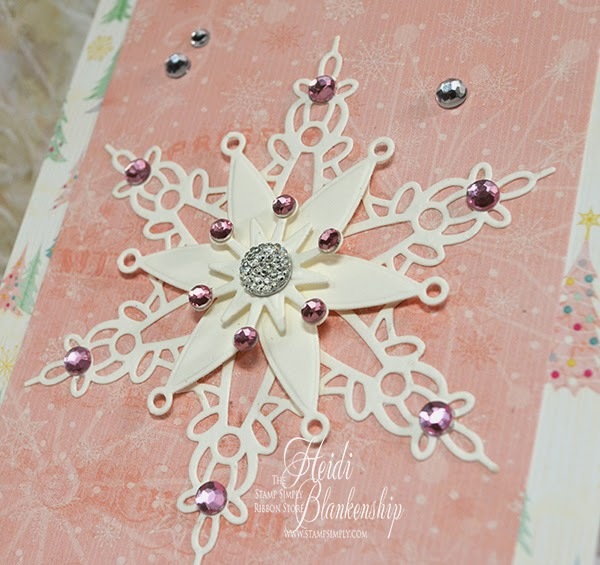 Next I die cut the S4-433 Snowflake Bliss, and S2-118 Holiday Sentiments die templates using ivory cardstock. 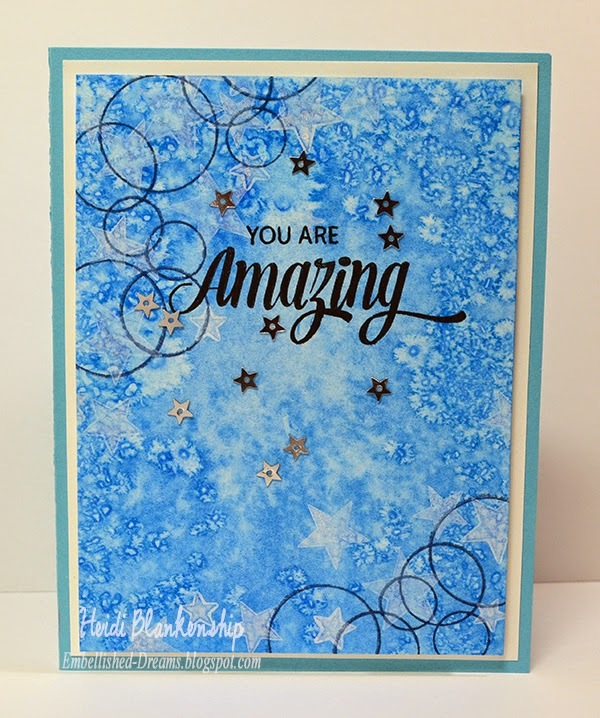 I used Tombow Mono Multi Liquid Glue to adhere the largest snowflake and the sentiment. Then I used 3D Foam Squares to add the other layers. Here you can see the layers of the snowflake. I added Kaisercraft Sparklets-Rhinestone Clusters Clear, Light Pink Rhinestones, and Silver Rhinestones for some sparkle. 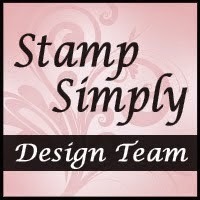 Please be sure to check out The Stamp Simply Ribbon Store for all of the fantastic paper crafting products and the Blog for inspiration from the Design Team with fantastic CAS Christmas Cards. Hello everyone! 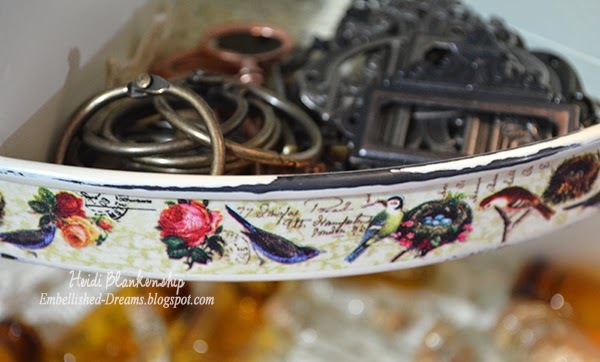 Today, is my day to post over on the Positively Me Blog for Julianna Hugdgins Design Team and I have a shabby white pearl bracelet that I created using the Signature Jewel Loom kit signed by Julianna to share with you. The bracelet is a mix of fibers, seam binding, pearls and sequins for a little bit of sparkle. 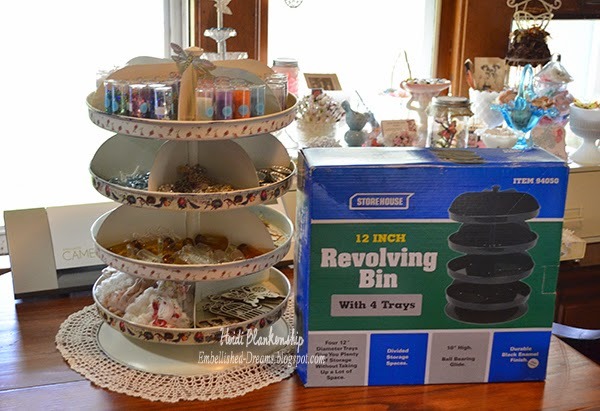 To see more pictures and find out all of the details please hop on over to the Positively Me Blog and check it out! It was a lot of fun creating a bracelet using the fibers. Plus the fibers are so soft and the bracelet is very light weight and comfortable to wear. Good morning blogging friends! 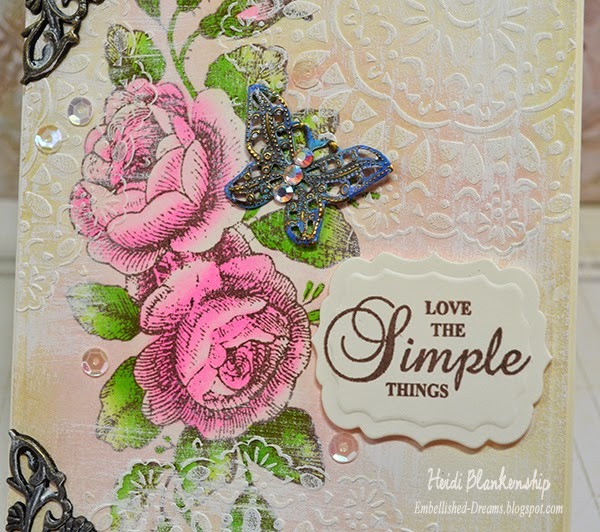 Today, is my day to post for The Stamp Simply Ribbon Store and have a CAS (Clean And Simple) card to share with you using some of the beautiful papers from Prima Something Blue 6 x 6 Paper Pad. 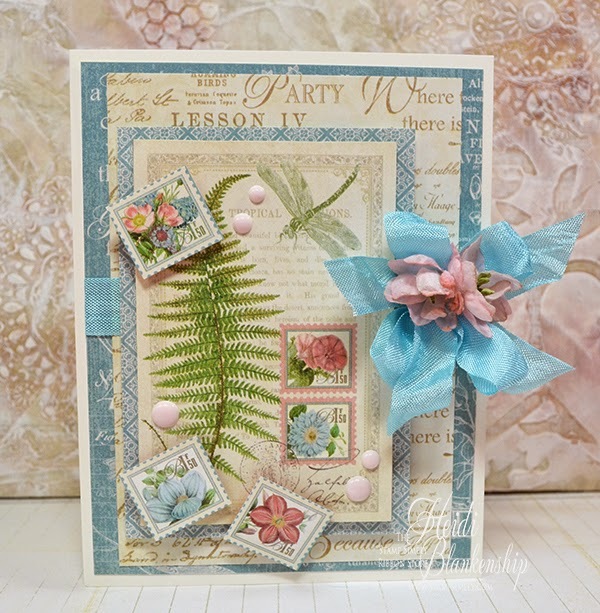 I just love the beautiful floral prints in this paper pad. Here is the card I designed. 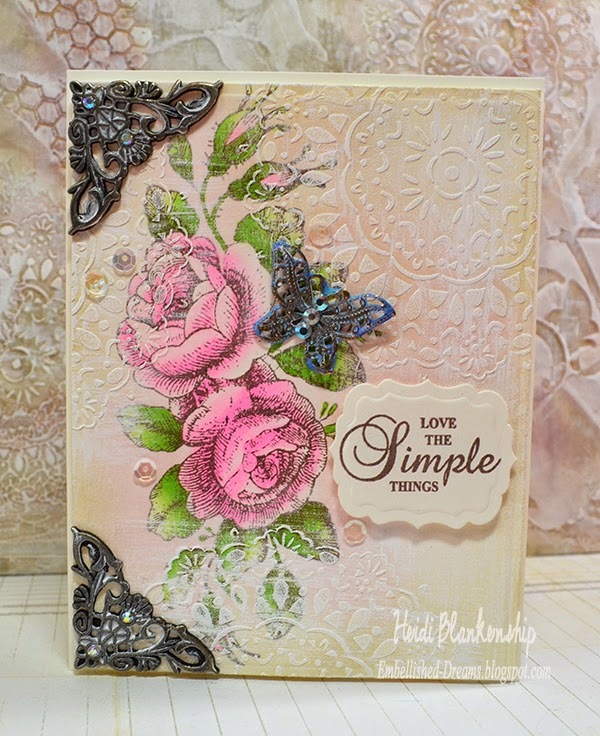 I created a couple of die cuts using S5-211 Romantic Rectangles Two and inked the edges on the larger die cut with Tim Holtz Distress Ink Vintage Photo. 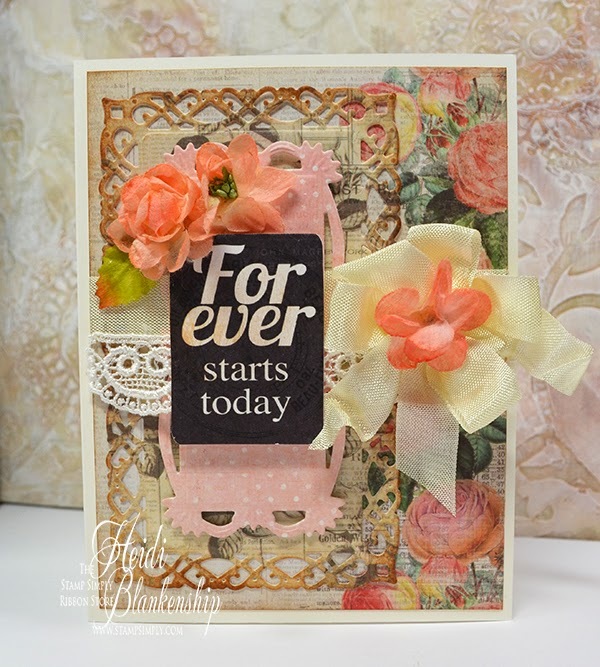 I fussy cut the sentiment and layered it on top of the die cuts using 3D Foam Squares. I added some Venise Lace .75" - Lucia Ivory that you can see peaking out on the side. 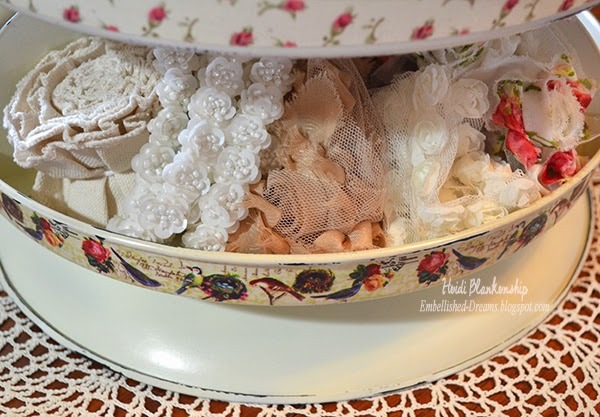 Then I added some Cream Seam Binding and Petaloo Botanica Minis Coral flowers. To finish off the card I used an ivory cardstock base. 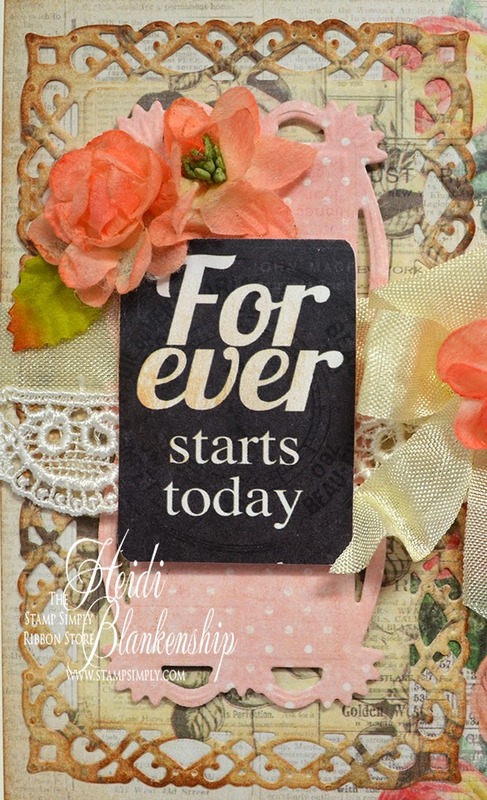 I know this sentiment is supposed to be for a wedding but I think it could also be used to give a friend who is maybe starting over in a career or maybe had a big move or something life changing. Hello everyone! 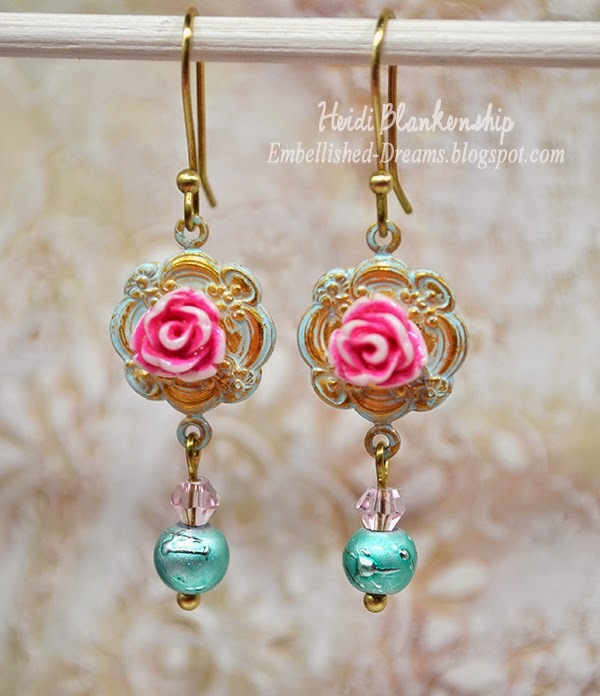 Today, I have a jewelry piece to share with you using one of A Gilded Life bezels from Spellbinders Paper Arts®. 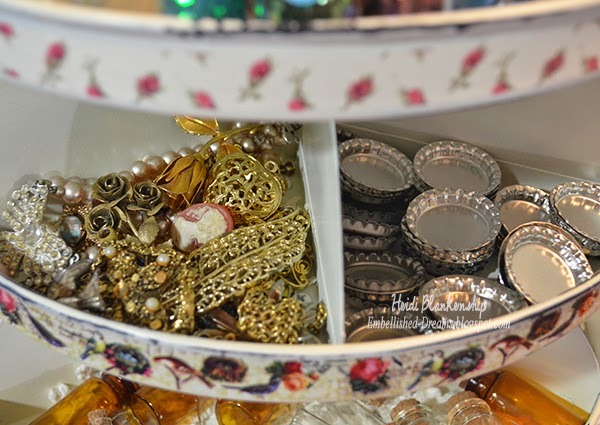 These little bezels are so fun to work with because you can create a little mini collage on the inside. 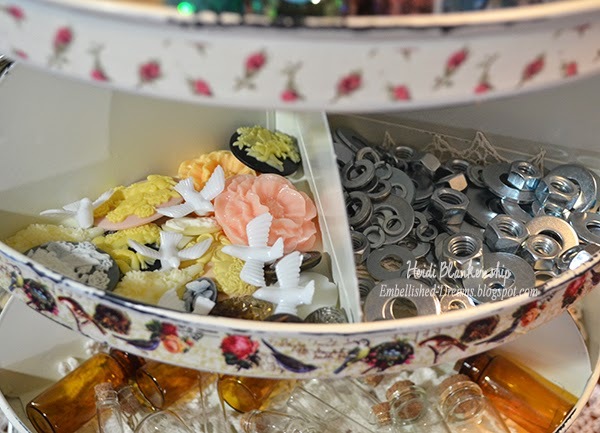 The bezels come with a clear plexiglass cover so you can fill the bezels with some fun little bits and add the cover or you could leave it off too. 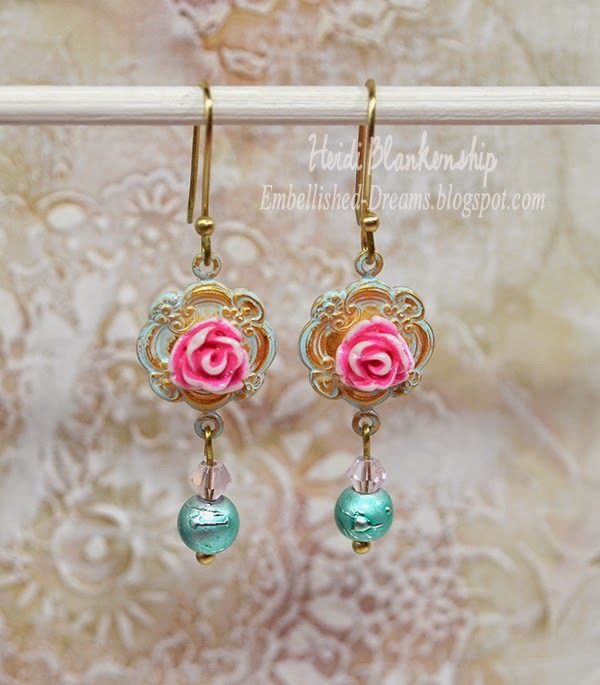 You could also fill the bezels with resin. 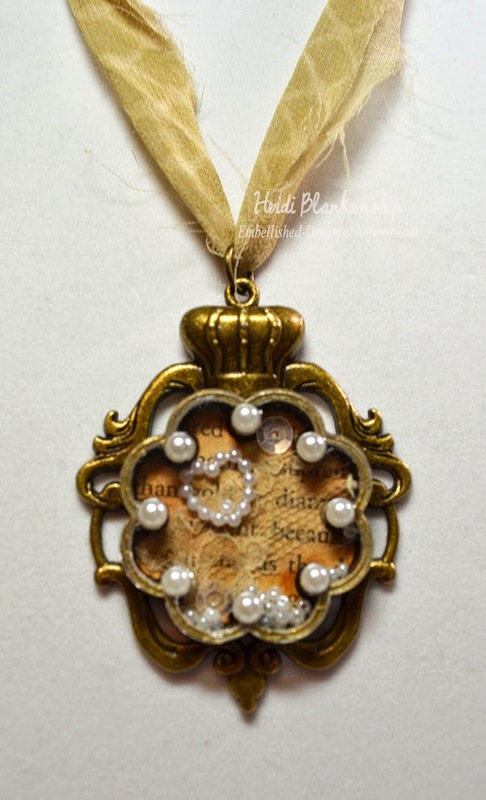 I used the GLLB-003G Large Crown Bezel-Bronze along with the coordinating die template GLD-003 Crown Circle Die (Lg). 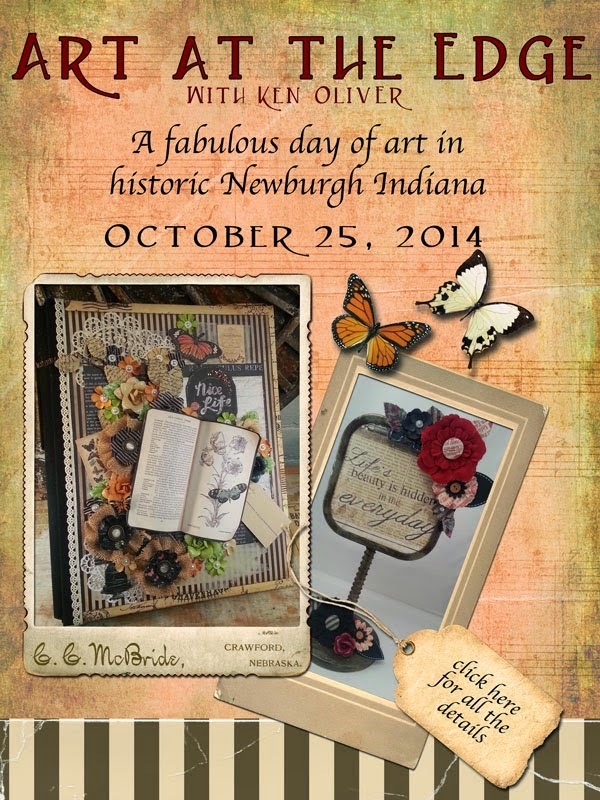 I die cut a piece from a vintage book page, inked the edges with Ranger Tim Holtz Distress Ink Vintage Photo. 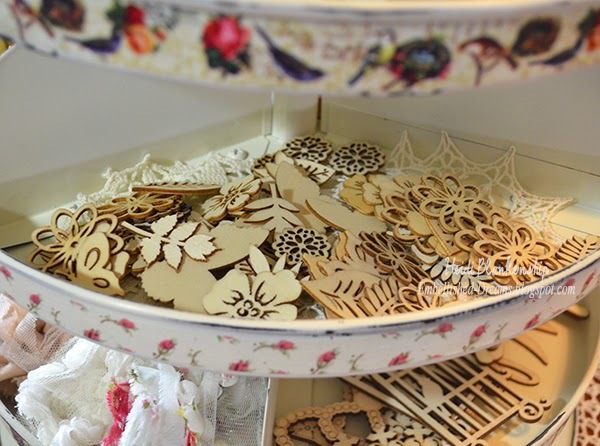 Next, I used Mod Podge to glue the die cut inside the bezels. 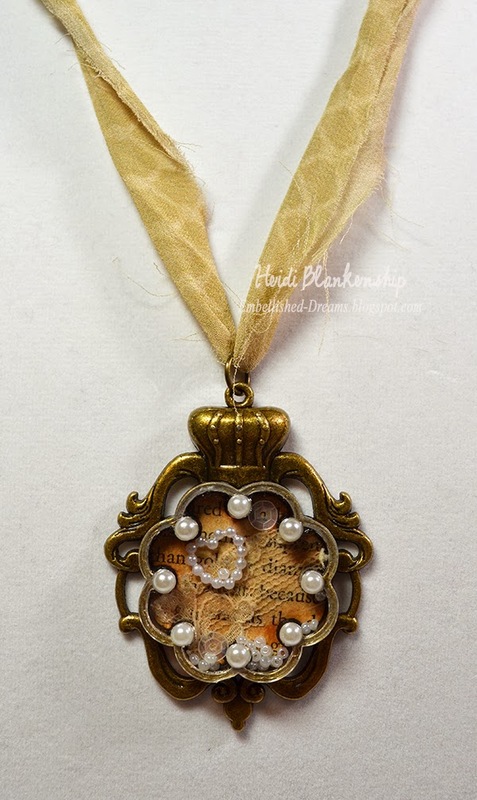 I added a piece of vintage lace and then glued a tiny pearl heart in place. 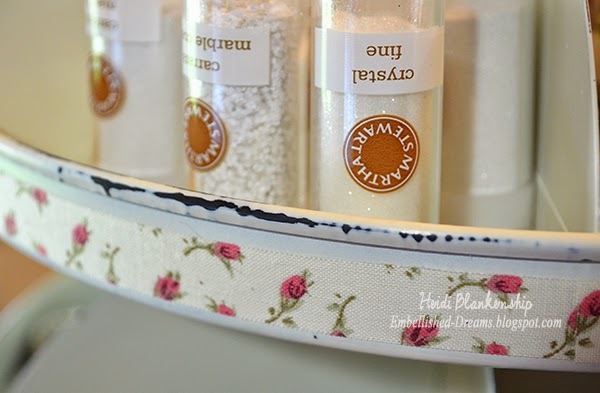 Once the Mod Podge was dry then I added some tiny pearl beads and a few sequins. I used Ranger Glossy Accents to glue the clear plexiglass cover in place. 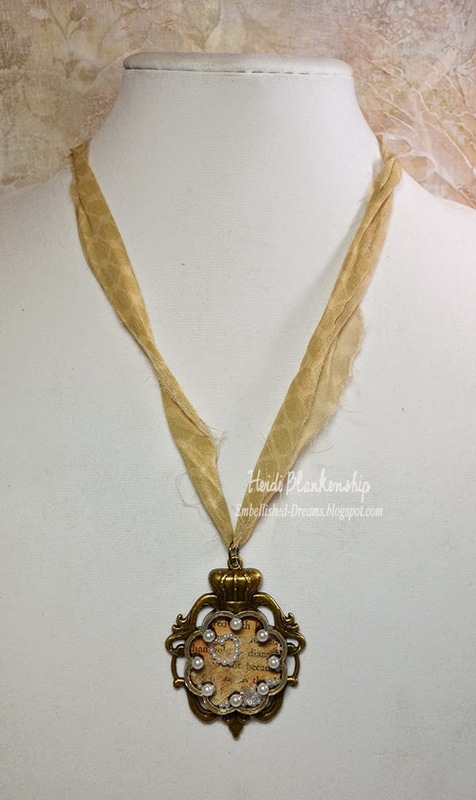 To finish off the bezel I added ivory flat back pearls from Em's Emporium, a large jump ring from Butterbeescraps and some Sari Silk Ribbon from Hippie Chix Fiber Art. This was such a fun and easy necklace to create and I can't wait to wear it! Hello everyone! 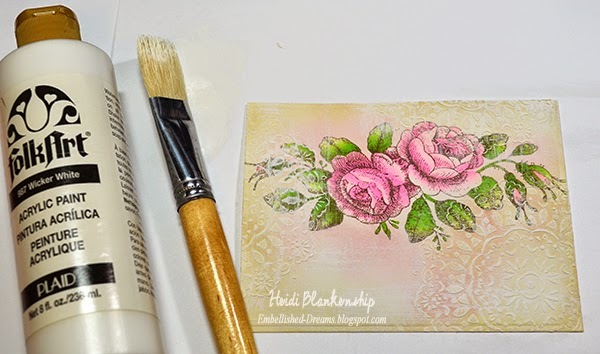 Today is Tutorial Tuesday over on the JustRite® Inspiration Blog and I have Part 3 of my Watercolor Series to share with you. 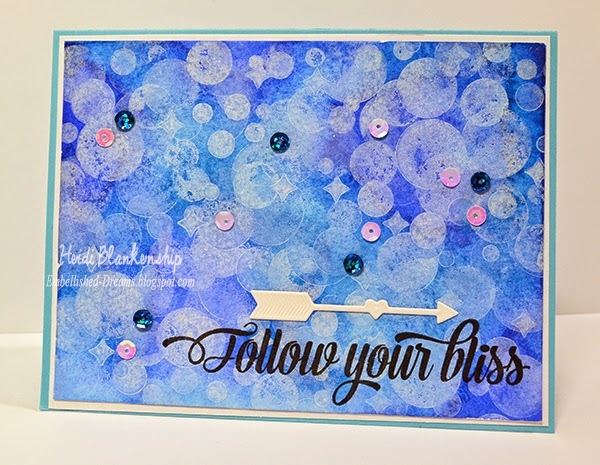 In this tutorial I will show you three techniques--how to do a basic watercolor background and stamps to create a Bokeh looks, watercolor background with stamps and salt to create a second Bokeh style, and soft colored background with salt. 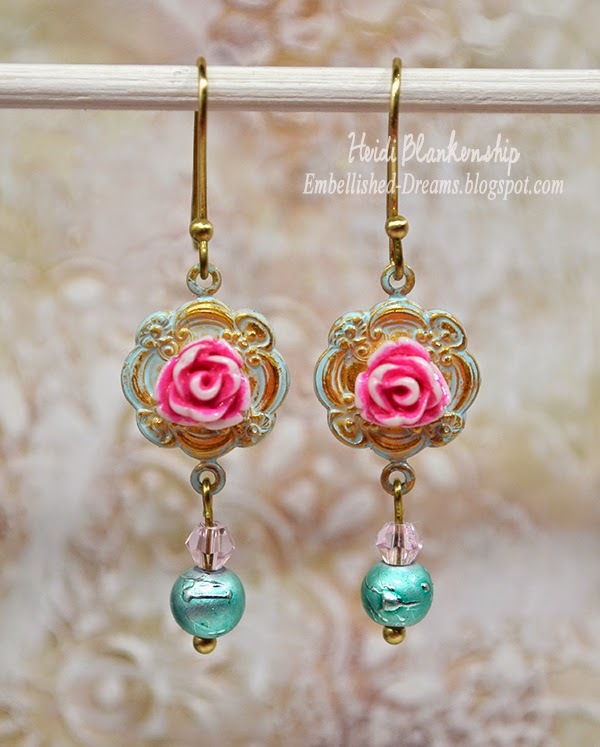 I have a video tutorial and a step-by-step picture tutorial over on the JustRite® Inspiration Blog. Here is a look at the four cards I created. 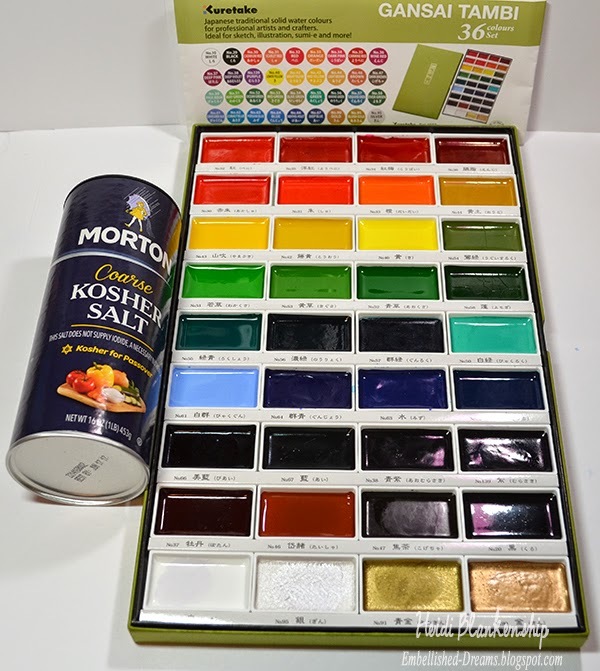 I used the Gansai Tambi 36 Colours Set Watercolors and Coarse Kosher Salt. 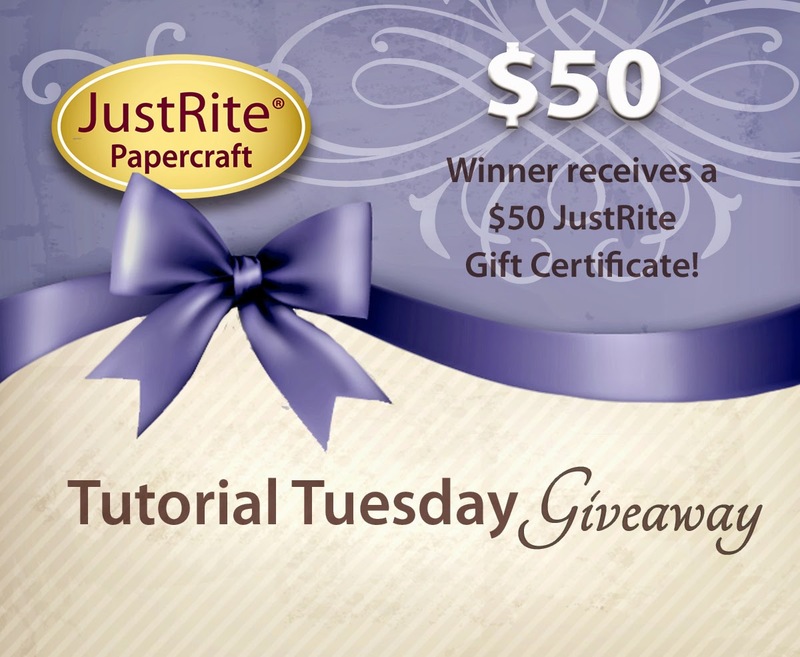 For this week's Tutorial Tuesday Giveaway one lucky winner will a $50.00 Gift Certificate to the JustRite® Papercraft website. 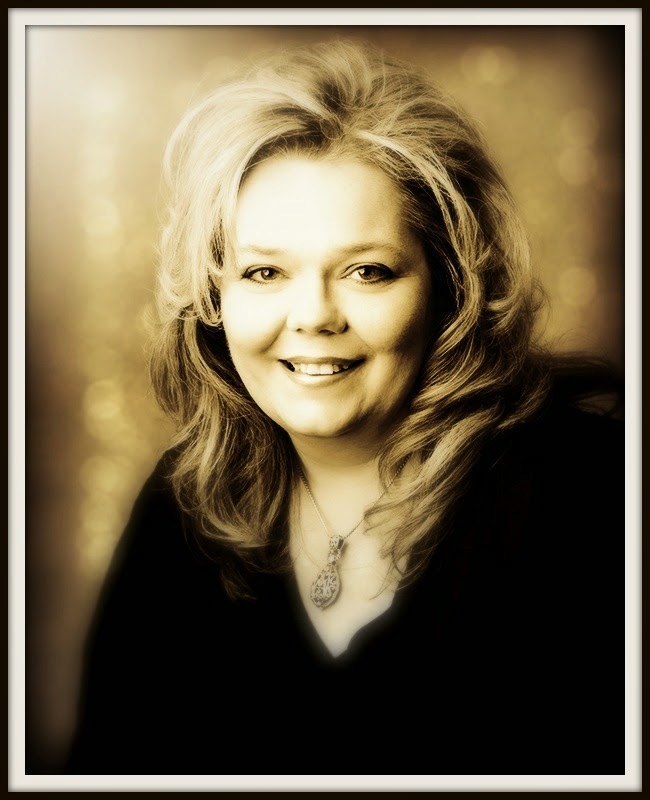 Remember that you can double your chances of winning by leaving comments on the JustRite Inspiration Blog and on Heidi's Video. Don't forget to show Heidi a little love when you watch her video - give her a thumbs up. Hello everyone! 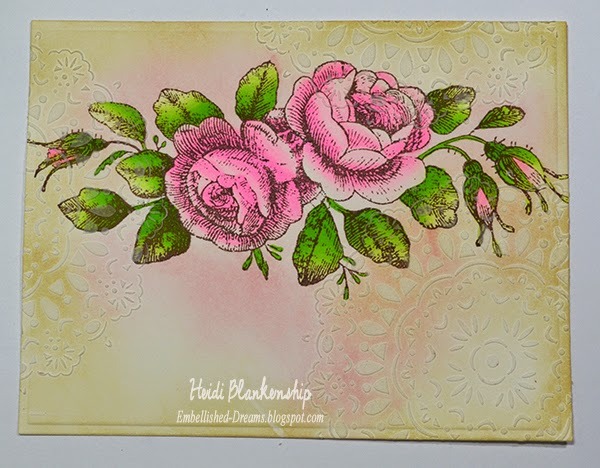 Today, I have a beautiful floral rose card using the New Chameleon Color Tones Markers with a touch of mixed media. This is the card I was planning on posting last week but my youngest son was sick with a really bad cold which turned in to an ear infection and he was home from school for a couple of days. All is well now--he is feeling better and back to school. Check it out--only 2 markers! Are you surprised? 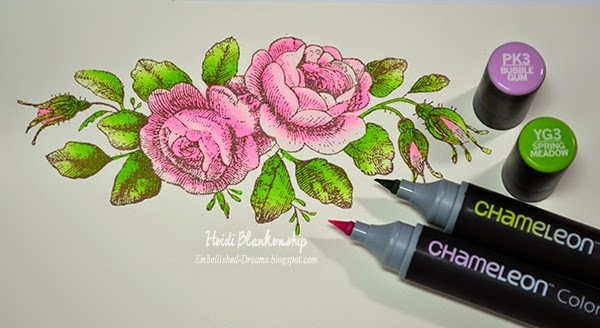 I love how many color tones can be achieved with the Chameleon Color Tones Markers! 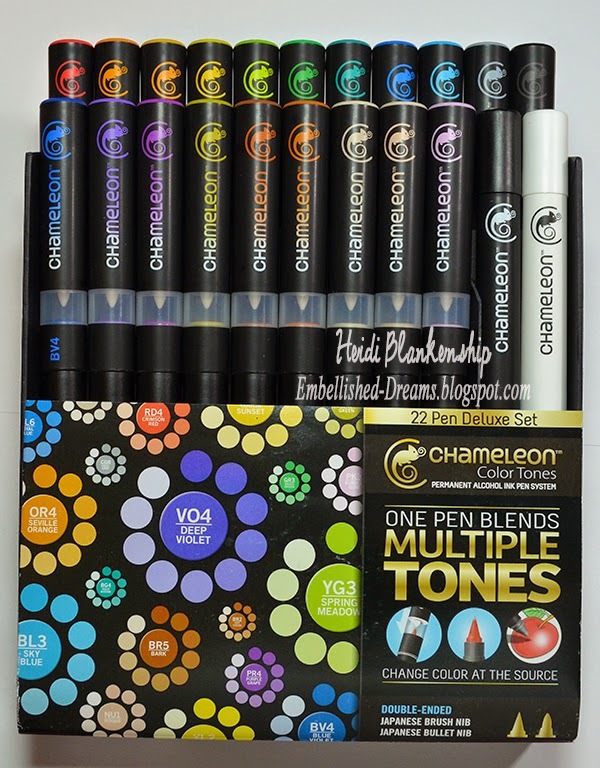 The Deluxe pen set includes 22 markers--20 Color Tone Markers, Black Fine Line Detail Pen, and a Colorless Blender Pen. 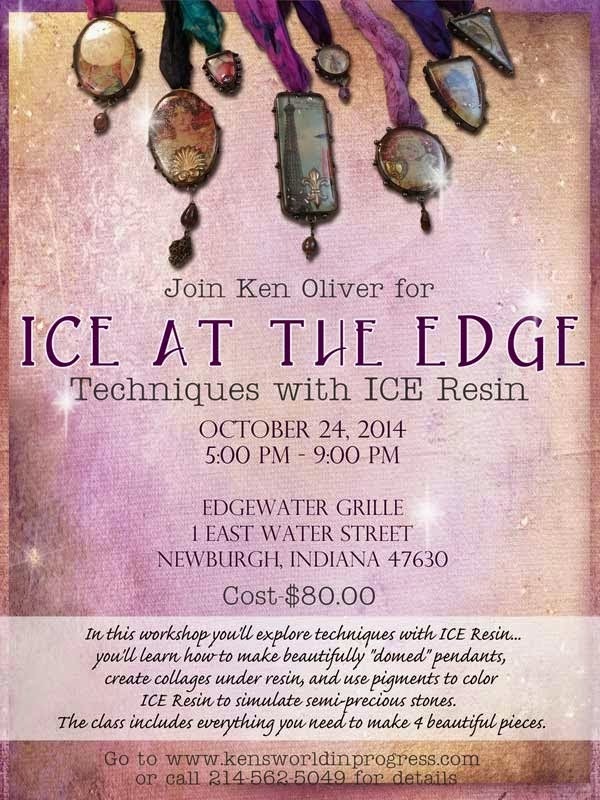 These are permanent alcohol ink pen system. They are double-ended and have a super soft brush nib on one end and a bullet nib on the other end. There is a refillable mixing chamber that has toning medium in it. When the mixing nib and marker nib touch in the chamber this is where the magic happens and the color changes giving you multiple tones in one marker. After I colored the image I then I die cut it using S5-131 Matting Basics A from Spellbinders Paper Arts®. 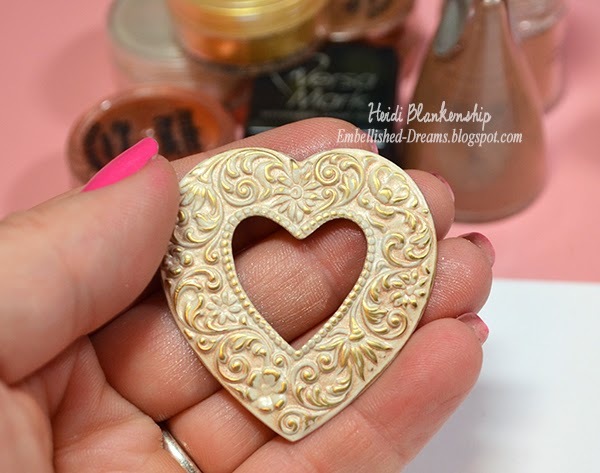 Next I used a doily stencil and applied Liquitex Light Modeling Paste. 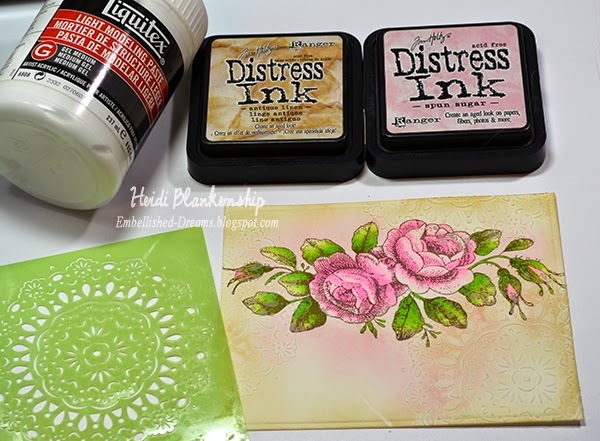 When the paste was dry I inked around the floral image using Ranger Distress Inks-Antique Linen, Spun Sugar. Here is a close up so you can see more of the detail from the stencil. I wanted to modeling paste to pop a little more so I used white acrylic paint and dry brushed over parts of the paper. Here is a close up so you can see more of the details. 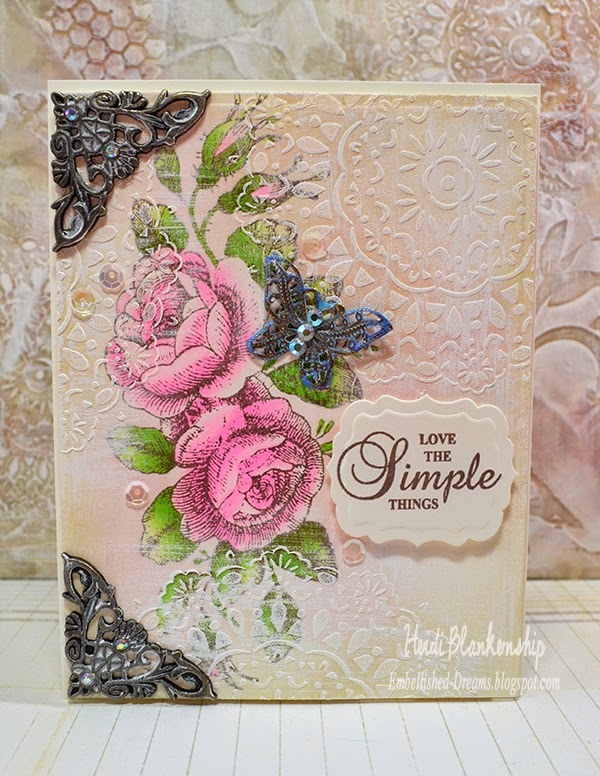 I used a sentiment from the same stamp set and Rich Cocoa ink to stamp. Then I used S4-462 Labels Thirty-Nine to cut/emboss the label shape. 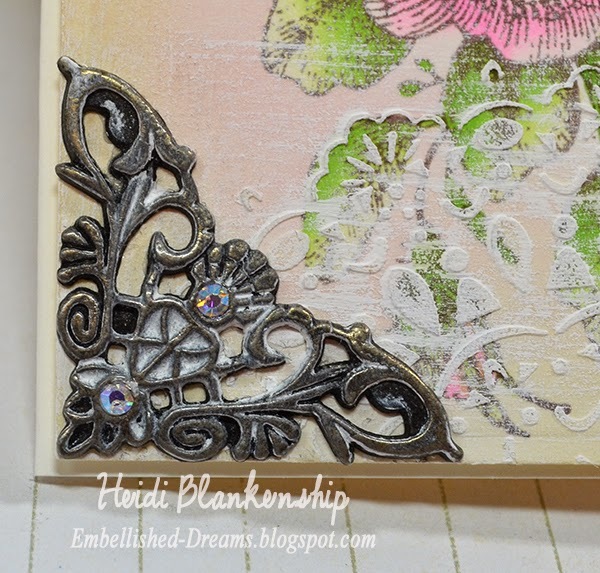 I added Bronze Filigree Corners HD901-B and a Bronze Butterfly Charm. 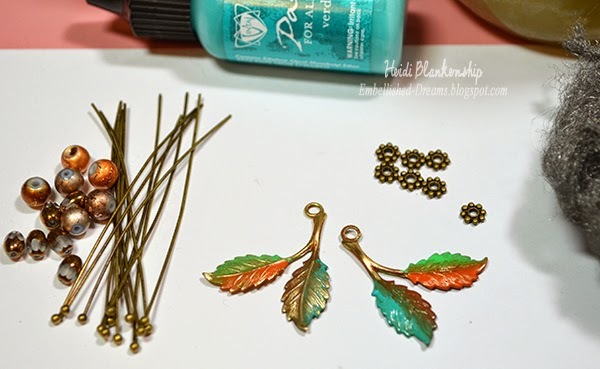 I added some paints to the filigree pieces and buffed them so some of the metal would show through. 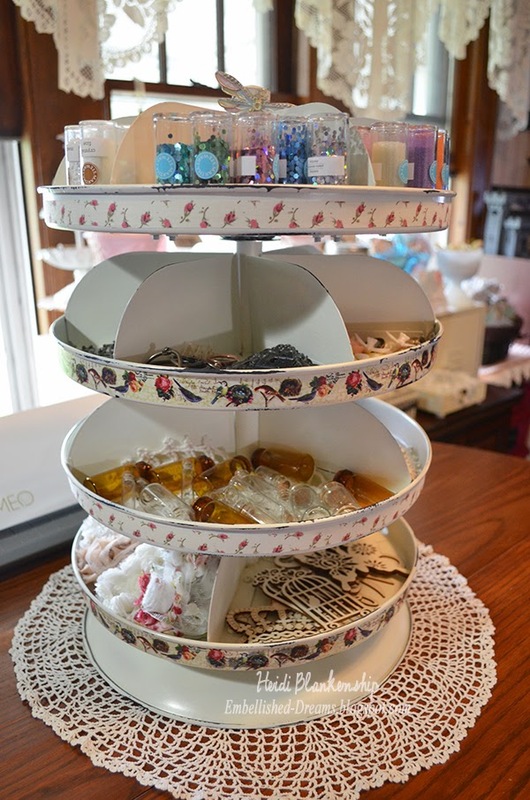 Then I used SS10 Clear AB Pointy Back Crystals and SS16 Clear AB Flat Back Crystals to accent the pieces. To finish the card I added a few AB sequins. 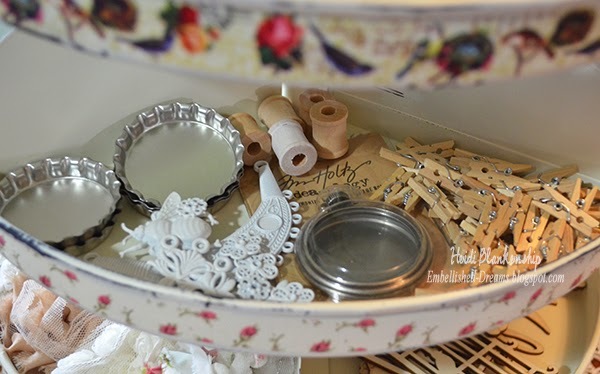 Here is a close up of one of the corner filigree pieces. 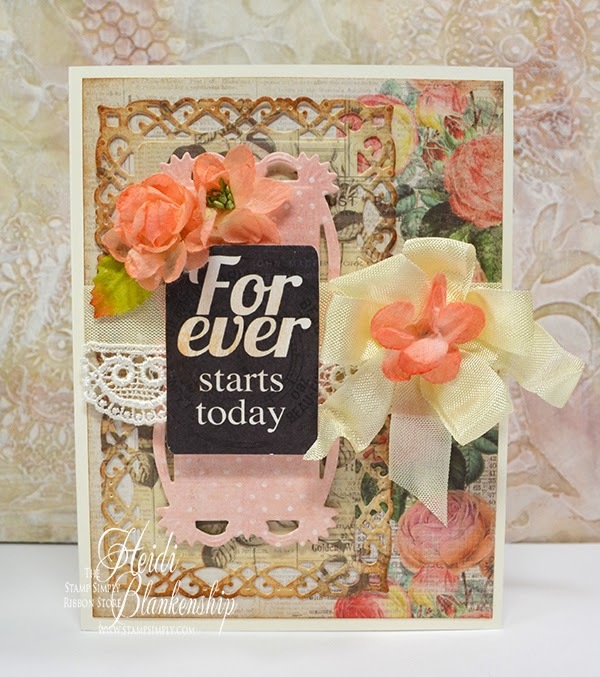 I just love how this card turned out! 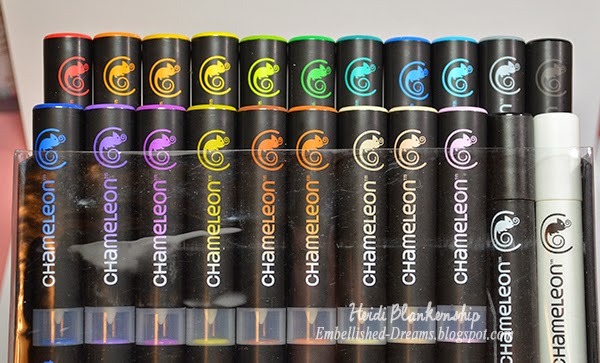 Please be sure to check out the New Chameleon Color Tones Markers. 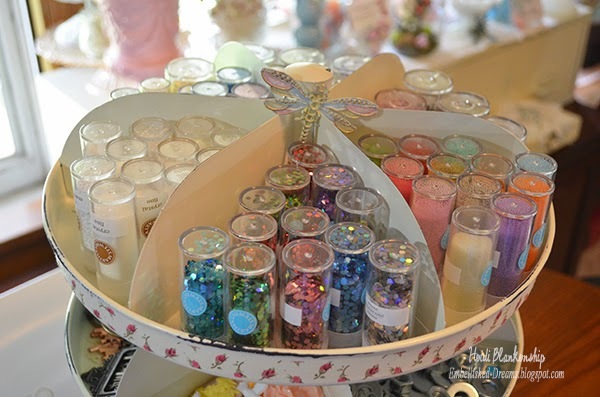 Also--Monique, owner of ButterBeeScraps is on vacation so the store is currently closed but will reopen October 3rd. 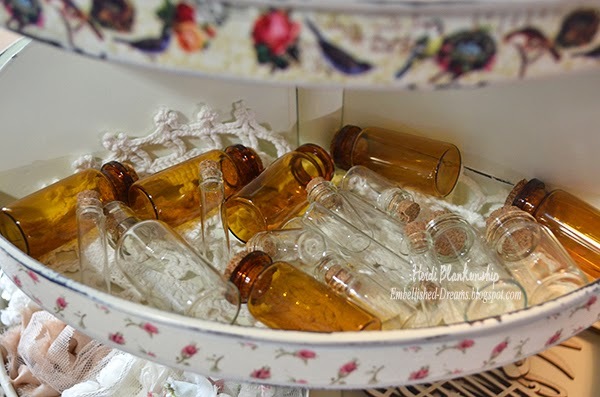 I can't wait for her to open back up--she has new goodies to add to the store so be watching for an announcement on that. Good morning blogging friends! 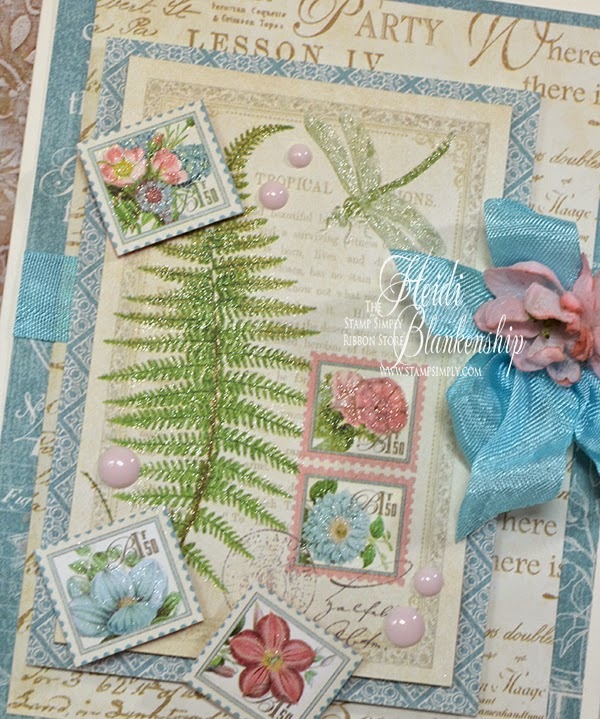 Today, is my day to post for The Stamp Simply Ribbon Store and have a CAS (Clean And Simple) card to share with you using some of the beautiful papers from Graphic 45 Botanical Tea 8 x 8 Paper Pad. Here is the card I designed. No stamping or inking I just let the papers do the work. 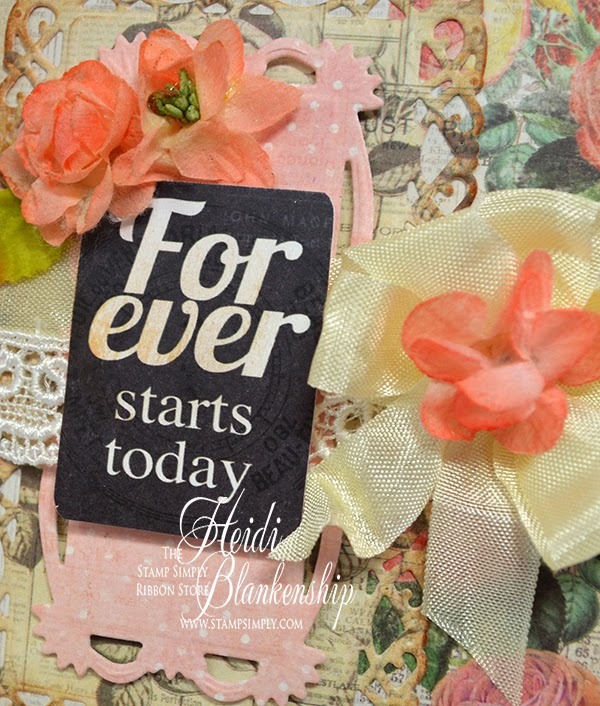 That is one thing that I love about Graphic 45 papers--you can simply fussy cut and layer some of the images to create such lovely cards. I fussy cut some of the images and used 3D Foam Squares in between the layers. 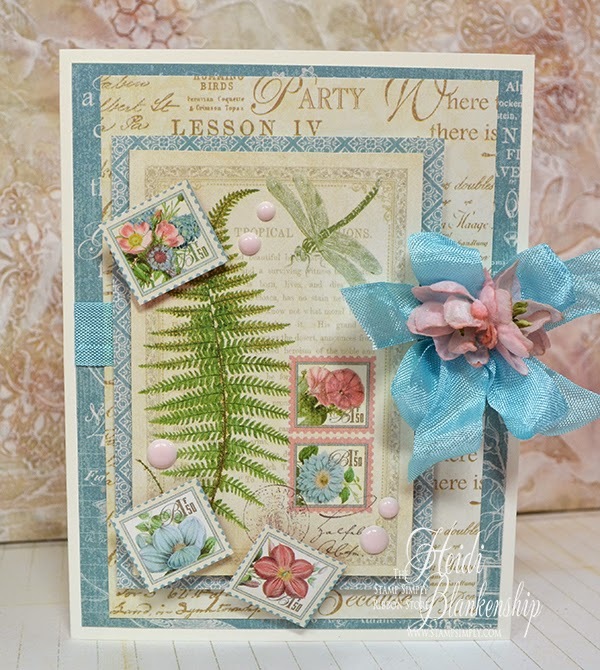 Then I added some Prima Sugar Dots Delight, Paradise Aqua Seam Binding, and a couple Petaloo Botanica Collection Pink Mini Flowers for embellishments. 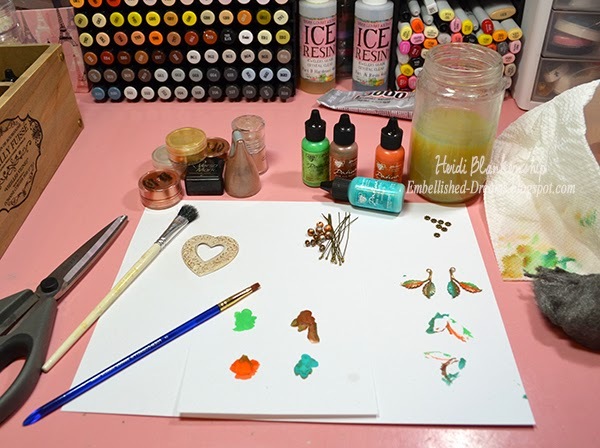 Then for a little bit of sparkle I went over the dragonfly, fern leaf and flowers with the Zig Wink of Stella-Clear Glitter Marker. You can see all the sparkle on the dragonfly wings. So with just a little fussy cutting and layering the card came together very quickly. Gotta love that!